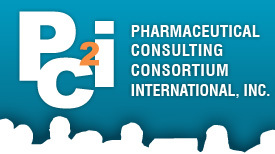 Pharmaceutical Consulting Consortium International Inc.
PCCI's May Roundtable will look at the state of today's funding model. The goal is to come up with new thinking from key stakeholders aimed at pointing it in a more useful direction. The discussion will be led by an experienced panel of experts and leaders in the field (see below). Because of "de-risking", the life science development projects that stand the best chance of getting funded are arguably those that recycle old therapeutics (because they are a "surer" thing). Not that the process isn't already flawed, because in many cases the concept of de-risking tends to leave the truly innovative technologies with little chance of seeing the light of day. In effect, the current model tends to significantly limit viability for early-stage companies at the bottom of the funding chain ($500,000 to $2MM) for a variety of reasons, not the least of which have been budget cuts and a lagging economy. These early-stage technology companies are also under enormous pressure due to a lack of follow-on funding. The next leg up ($2MM to $12MM) is almost non-existent. Also, the more typical VC rounds are being squeezed by pharma's need to see later-stage evidence of the potential for successful commercialization. So what can be done? 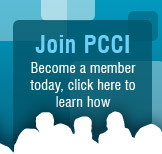 Some variations on that theme will be presented and discussed at the May PCCI dinner. 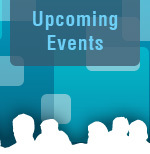 Elaine Jones, Executive Director Venture Capital, Pfizer, will moderate the roundtable. Congresswoman, the Honorable Allyson Y. Schwartz, will approach the problem from the Federal Government's point of view. Brenda Gavin, founding partner of Quaker BioVentures, and recently honored with Pennsylvania BIO's Hubert J. P. Schoemaker's Leadership Award, will represent venture capital's perspective. Chris Cashman, CEO, Protez Pharmaceuticals, will speak to the issue from his involvement in the recent sale of Protez to Novartis. Representing big pharma will be Carol Ashe from GSK's SR One and Bob Zivin from J&J's Corporate Office of Science & Technology. Seating will be limited to 120 people. Parking is free. The meeting will be webcast. Those who cannot join the meeting can still participate. Webcast registration will be $20. A password will be given. More details, including a formal announcement and registration information, will be made available in the coming weeks, mark your calendar now: May 10, 2010, 6:00 pm!